Many patients experience an immediate confidence boost after having their smile revived with a quality restoration. When the restoration is supported by a dental implant, the benefits are added stability, permanence, and rejuvenated jaw bone health and strength. At our practice, Dr. Waroich, along with our caring and dedicated team provide beautiful implant-supported restorations throughout Washington D.C. If you have questions about the right restoration treatment plan for you, call our office today to set up an appointment. 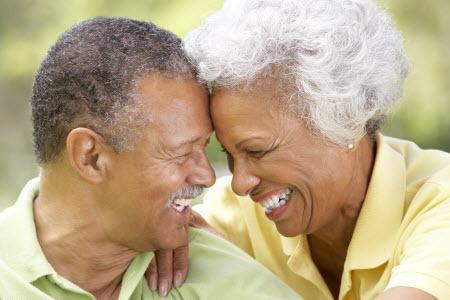 Whether you have failing teeth or are tired of the lack of stability in your removable denture, dental implants may provide the right solution for you. Our practice encourages patients to consider a dental implant because it is the closest thing to a natural tooth root. We discuss every care option suitable to your specific case, ensuring the treatment path is in line with your goals. Part of our evaluation is determining if your jaw is strong enough to support a dental implant. We work with a trusted local professional who specializes in dental implant placement and shares a similar philosophy to Dr. Waroich regarding patient care. If it is determined that available tissue is not sufficient for the surgery, our partnering office can perform a bone grafting procedure to reinforce the area in which the implant will be placed. Prior to your dental implant surgery, our office takes high quality, digital impressions so your prosthetic is manufactured to a precise fit. Dr. Waroich provides patients a temporary appliance to keep your smile complete while waiting for the final restoration to be fabricated. Depending on how many teeth you need to have replaced, our office can provide a convenient solution for you. A porcelain crown replaces a single missing tooth, while a bridge or denture effectively replaces multiple missing teeth. Once your implant post has properly fused to the jaw and healing is complete, Dr. Waroich affixes your chosen restoration. Dr. Waroich provides thorough post-procedure instructions for your continued comfort and support. We take pride in helping our patients restore their smiles to proper health and function. Dr. Waroich has provided her patients with quality dental implant restorations in Washington D.C. for over a decade. If you have questions or are interested in setting up an appointment, call our office today!